Roll up doors have special parts, springs, and openers. 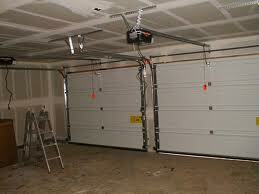 And thus if you own a rollup garage door in Oakville, you will need the help of our specialists. We have been fixing & installing roll up doors for a very long time. With us, you can be sure that any problem is fixed with accuracy and in a timely manner. Our services include roll up garage door repair& maintenance and replacement & installation, and are provided in Oakville, Ontario. Roll up garage door service whenever there is something wrong with the door. If you can’t close or open it, call us. If it makes a weird sound or won’t roll all the way up, depend on our quick repairs. Roll up door maintenance service so that you can avoid most problems and use the door with safety. Our experts can service your door as often as you like to ensure no problems will occur and the whole system will run for years free of trouble. Roll up door installation focusing on the little details, which always make the difference. Regardless of the rollup door you choose, our experts have the skills to install all sizes, models, and materials. Whether we come for roll up door replacement or repairs, we are fully equipped and thus prepared to do the requested job with precision. Our pros here at our company are all qualified, well-trained, insured, and certified. Dealing with professionals when it comes to your daily convenience and safety is important. We provide high quality service in a timely fashion and at very competitive rates. Whether you are in need of Oakville rollup garage door services or want to ask questions, we are here for you. Just call our team.